Watching the footage of Barbara on social media slurring her words and dancing has to be the most embarrassing thing I have seen all week. As if things couldn’t get worse, she makes the comment “let’s all get lit, and go kill Kail.” Ummm… this definitely isn’t going to go well. Kailyn and Jenelle have a history of bad blood. Barbara picked the only person as petty as her daughter to go after. Sigh! Grannies gone wild was in full effect that night. SMH…. If I know Kailyn, this isn’t going to go unnoticed, especially after Jenelle set her hair products on fire. 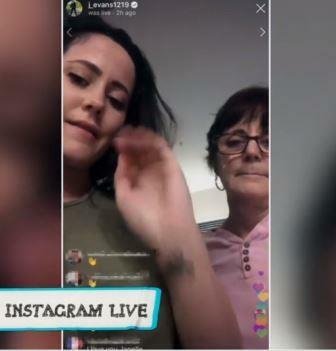 One of the producers calls while Jenelle and Barbara are on Instagram Live. The backlash is swift from Kailyn’s fans and she is forced to get back on camera and explain her comments. She claims that she has known Kailyn for 10 years and doesn’t want to kill her, it was only a joke. Oh, Barbara. We know you are trying to win your daughter’s love and affection, but threatening bodily harm isn’t the way to do it. I don’t think Barbara was serious, but she should have known better. Barbara and Jenelle double down on the “kill Kail” comments. They have no idea why Kailyn is so upset and can’t take a joke. Umm… people don’t take comments about killing them lightly. Jenelle even claims she must be jealous that she and her mom have reconnected and Kailyn has nothing to do with her family. Even if that is true that has nothing to do with threatening someone on Instagram for thousands of people to see. You never know what influence your words can have especially when there are crazy people on the internet. It was a bad idea. Barbara should call Kailyn personally and apologize. I doubt that will happen, but that would be the right thing to do. Chelsea Houska and Cole DeBoer are collaborating with a diaper bag company for their own line of products. Finally, Chelsea is doing something to take advantage of her role on the show. It seems everyone else has capitalized on their celebrity, besides her. They arrive for their first design session, which just entails showing pictures of designs they created by things inspired by the couple. The next design session includes Aubree to help create some looks for t-shirts. It’s clear that the company did a lot of research and included lots of pieces based on who they are as a family. Three kids may be enough for Leah Messer at this point. She is on her way to the doctor to refill her birth control. She can envision having another baby in the future, but wants to wait until things are solidified with her boyfriend, Jason Jordan. I’m glad she took the responsible route, rather than continuing down the same path she was on in the past. For some reason, Jason decided to be a glutton for punishment. He joins Leah for her gynecologist appointment. She still hasn’t decided which option will work best for her, but she is leaning towards the Nuvaring. Joe Rivera must have backed down on his request for additional money to line his pockets. Kailyn has agreed to back the money she received since they both had joint custody of their son. Its Isaac’s birthday and the two have decided to put their differences aside to celebrate. Jo and Vee arrive at the house and reminisce about the day Isaac was born. It’s nice to see them all having fun together. I’m sure the person who is most happy, is their son who was most affected by their fighting. 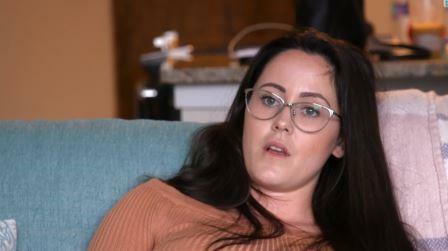 Kailyn discusses the recent comments made by Jenelle’s mother, Barbara on social media about her. She doesn’t want to be a part of a franchise that allows that type of behavior. She also reveals that she did not receive an apology and doesn’t want one. Kailyn does make good points. Although she may not like them, she isn’t threatening them to her followers. Surprise, surprise Briana DeJesus is out with her friend complaining about her baby daddies. This is why she should have learned her lesson after the first deadbeat. She should have been a lot pickier with her choices in sperm donors. I guess in another couple of years she will be adding this new guy she is dating to her list. Briana’s baby daddy to be boyfriend has just arrived in town. They haven’t seen each other in a month. The two go out for dinner and John admits he thinks his biggest challenge may be her mom. Little does he know how true that is, but he forgot one thing, her sister. After dinner, John is surprised to see the surprise party Briana has planned for him to meet her family. Well ,let’s just see how long this lasts after meeting the family. He may need to run now, before he has three women in his business forever. TELL US – WHAT DO YOU THINK ABOUT BARBARA SAYING SHE WILL KILL KAILYN? DO YOU THINK THE SHOW SHOULD PUNISH JENELLE AND BARBARA FOR THEIR COMMENTS? WHAT DO YOU THINK ABOUT CHELSEA’S NEW BUSINESS VENTURE? 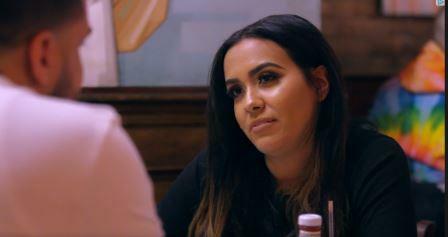 IS KAILYN JUSTIFIED IN BEING ANGRY ABOUT BARBARA’S COMMENTS?